This was a hilly leg, but I was doing very well and felt good, for no sleep. I could see far in the distance a guy that would walk, run, walk, run. When I caught up to him we where about 1.5 miles from the end and going up a large hill that was over a mile long. I walked with him and told him he could do it. I chatted a bit to get his mind off running and with about a half mile left he told me to go ahead he would be fine. I went and finished my run. My runs were done! And I ran them all pretty close to my projected time. We were heading to the van and the guy I talked to on the hill came running over with his team to thank me with a big sweaty hug. 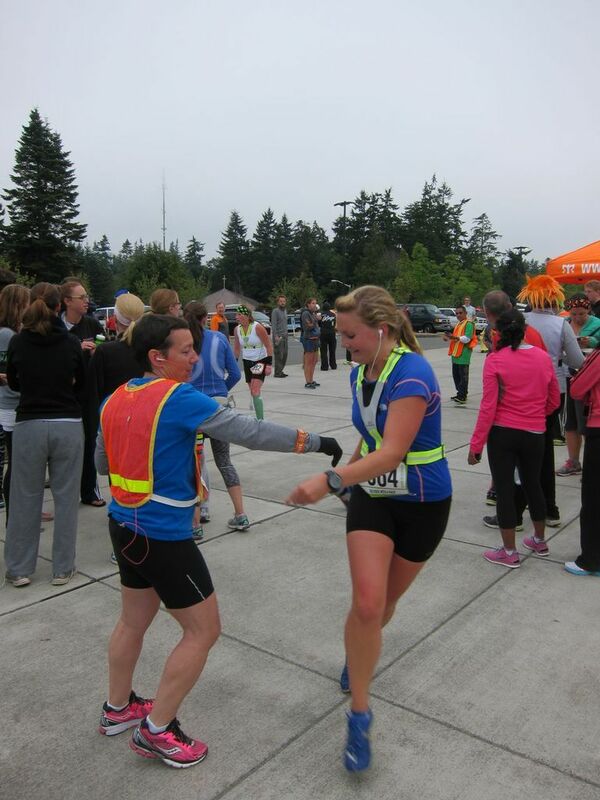 It was great to know that I helped another runner finish the race. All of my teammates rocked their final legs. 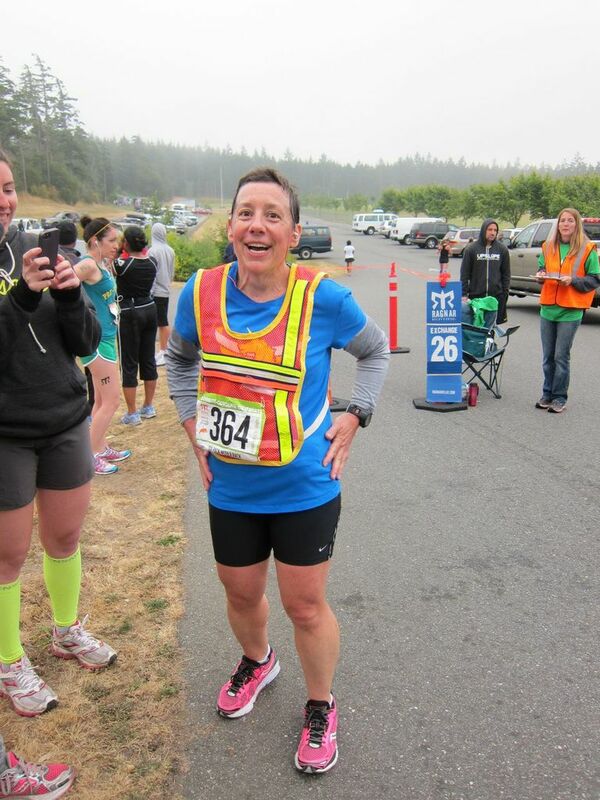 Robyn was our anchor and we all crossed the finish line with her. We got our medals which are awesome. And headed to the ferry line. I was very disappointed at how long the ferry line was, we had a 90 minute wait. I wanted real food. Then someone noticed a Dairy Queen, we all jumped out, except Jessey, who was driving and got, ice cream. It wasn’t real food but it was delicious. There are a few things I would do different next Ragnar, yes there will be a next. Bring a blanket, it got very cold at night. I over packed real clothes, I had about 4 items I didn’t wear. Bring better food options, turkey, cheese sticks and pasta with grilled chicken and veggies. I loved Ragnar! My team was awesome and I could not imagine doing my first with a better group of women. If you are on the fence about doing a relay, go for it. It is an adventure! 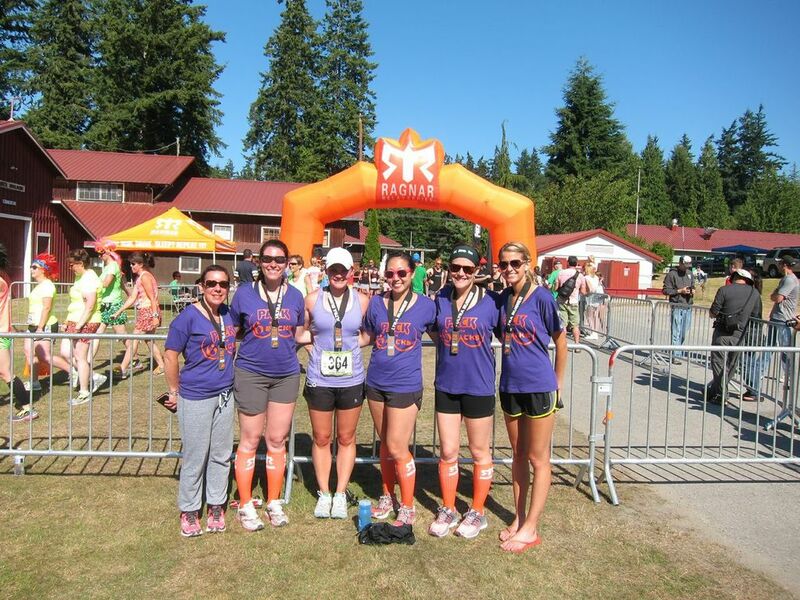 This entry was posted in Uncategorized and tagged Ragnar Relay, Running. Bookmark the permalink. I agree with you about the food! I picked up cold pasta salad with veggies on my ragnar and it was the most delicious thing I ever ate at 2 am! I’m so glad you’ll do another!